The District Detroit utilizes all-encompassing technology to better connect with guests and provide the most sophisticated, immersive, and engaging experience possible. Powered by the Venuetize platform, the app represents a new model for presenting experiences, utilities, and services in a contextual and personalized way, and sets the bar for helping guests interact with smart spaces. For any visitor, The District Detroit app helps users locate events, find and purchase tickets and parking, and even find the best route to parking lots and venues. 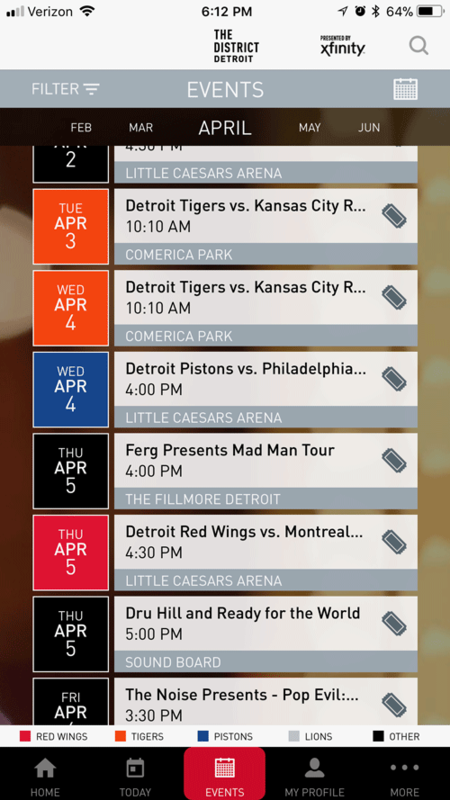 The app also enhances the experience of visitors at Little Caesars Arena through an interactive chat bot, express ordering for food and beverage, and interactive maps that highlight a multitude of points of interest, including restaurants, retail outlets, neighborhoods, and more. Learn more about The District Detroit App here.